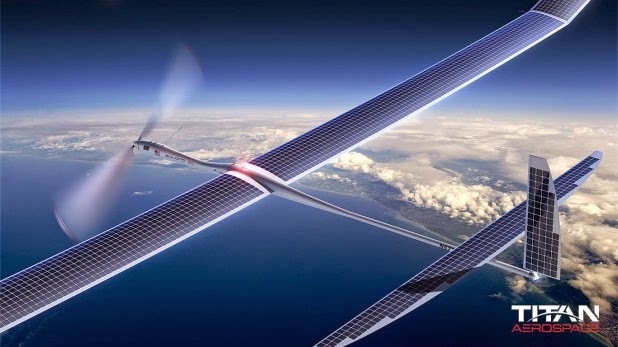 Google has acquired up American drone manufacturer Titan Aerospace for an undisclosed sum and reported found that Google has beaten Facebook which is on the same run for snapping the start-up. Titan posted on its website onMonday that it is indeed joining search giant Google. Google told The Wall Street Journal that Titan will work on Project Loon which is balloon-powered Internet endeavor to bring the Internet to the two-thirds of the world’s population with no connection. Titan may also work on the Makani project which is a development for an airborne wind turbine to produce energy more efficiently. Google’s Project Loon is in direct competition with Facebook’s Internet.org initiative and now it seems that Google has taken initiative for this. It is also been reported from various sources that Facebook was about to acquire Titan Aerospace for $60 million and under negotiation to beam Internet access to isolated regions, beginning with Africa. Titan is best known for its Solara 60 drones which is a featherweight aircraft manufactured using thousands of solar cells that enable it to fly at an altitude of 65,000 feet for years without refueling. The drone can carry as much as 250 pounds.